The evil shadow of a serial killer looms over the bar; cabaret acts are being killed off one by one, found stabbed by the heel of a sequinned slingback shoe. 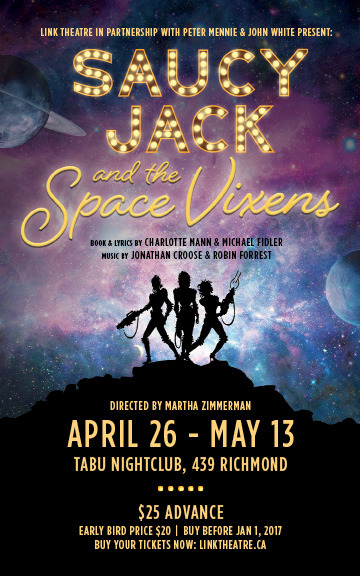 It’s Cheers meets Jack the Ripper in Space! A cast of misfits and the Space Vixens are drawn into a cosmic underworld where their unique powers promise justice, hope and unadulterated funk. Get your glitter boots on — they may just save your life!